It's incredible when an app as full featured and long-lived as Keyboard Maestro adds new features. 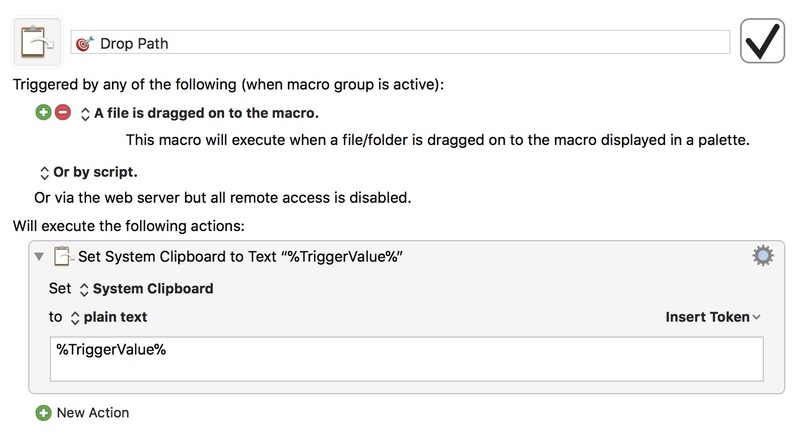 Now we get file-drop triggers for macro actions. I've only just started experimenting with it. 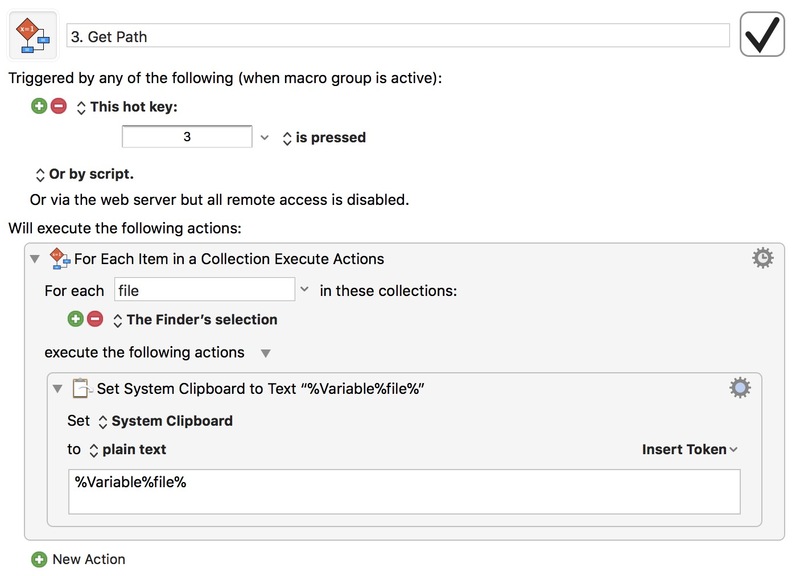 Here's a macro that I made awhile ago to grab the path to a file selected in the finder. Here's a version that works with a dropped file instead. The "TriggerValue" contains the path to the dropped file. Now I can drag a file to the action as a trigger and source. For this specific case, I still prefer my original macro which worked on selections in the Finder. It also worked on multiple selections whereas the drop trigger does not seem to. This release also adds a new Applications Palette. 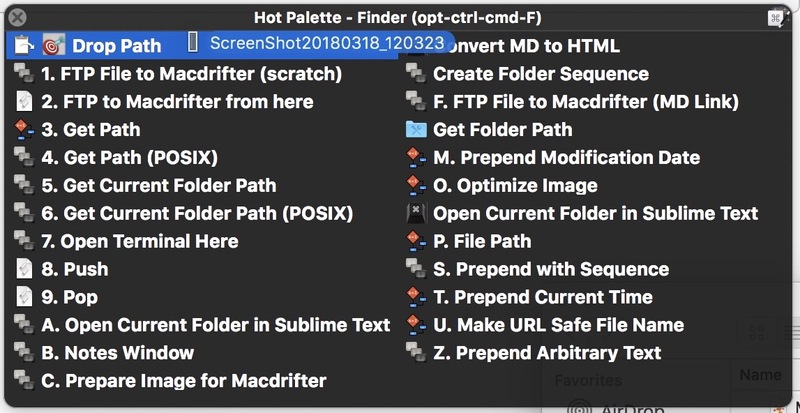 This is a cleaner way to create custom application launch palettes.